Goat Soap for Men? Absolutely! Our skin is our largest organ, so whatever we put on it is absorbed into our bodies. 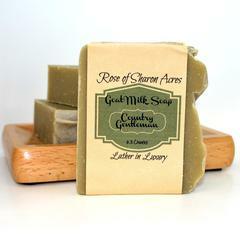 Goat milk soap is a natural product packed full of great things that are good for you, your skin, AND your BEARD. No weird chemicals or questionable ingredients being absorbed through your mug when using soaps made with goat's milk. Goat's milk soap will not only get your skin clean, it doubles as one of the BEST BEARD SHAMPOO AND CONDITIONERS available. It also helps with flaking and itching. 1. 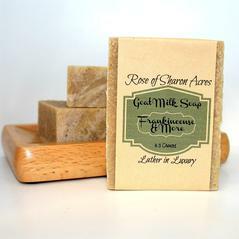 Goat's milk soap won't dry out your skin or your beard. The cream found in the milk is a great moisturizer. Some soaps contain chemical moisturizers while goat's milk soaps contains alpha hydroxy acids which help break down dead skins cells. Removing the dead skin cells means new smoother, more youthful cells. 2. The pH of goat's milk is almost the same as the pH level of your skin. This is great for a lot of reasons. It allows nutrients in but keeps bacteria out. It prevents dryness. If other soaps dry out your skin because the pH is out of whack, your oil glands will overreact. Overactive oil glands means oily potentially blemished skin - not good. 3. It's packed with great vitamins like D, C, B1, B6, B12, E, and one of the most important for the skin, vitamin A. Vitamin A has been shown to reduce lines and wrinkles, control acne and smooth roughness. 4. Goat's milk has naturally occurring glycerin. Soaps are made by combining fats (and goat's milk is full of good fats) with a strongly alkaline solution. A byproduct of that process is glycerin. It's normally removed from commercial soap making processes, but with goat's milk soaps it's left in for it's awesome moisturizing properties. 5. In hair care, goat milk replenishes the moisture in every strand by penetrating the hair shaft. It nourishes the scalp which adds life, luster and body to the hair. 6. Goat's milk soap has been shown to help treat acne, psoriasis and eczema and it's more hypoallergenic than other soaps, which means it's good for those with sensitive skin. 7. 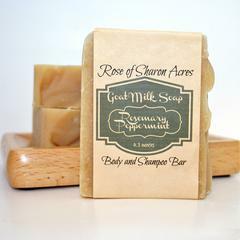 And finally, Goat Milk Soap nourishes every skin cell. It contains selenium, an anti oxidant that fights free radicals which seek to destroy living cells. It helps protect against sun exposure. It truly brings LIFE to your largest organ - your first defense against disease. Cardiovascular disease is the number one cause of death in this country. Studies have shown that the lower your intake of magnesium, the higher risk you are to sucumming to cardiovascular disease. Magnesium supplementation can help with a variety of heart related issues: arrythmias, hypertension, atherosclerosis and endothelial disfunction. Even a small change in magnesium intake can make a huge difference in how the heart, blood vessels, blood cells, intestinal track and other tissue functions. This is because magnesium is essential for tissues that have electrical or mechanical activity such as blood vessels, heart muscle and nerves. Having heart issues? We have formulated a transdermal magnesium cream which includes the heart enzyme CoQ10. Why transdermal cream? Because it is utilized by your body quickly and doesn't break down with stomach acids giving you the full impact of the magnesium. 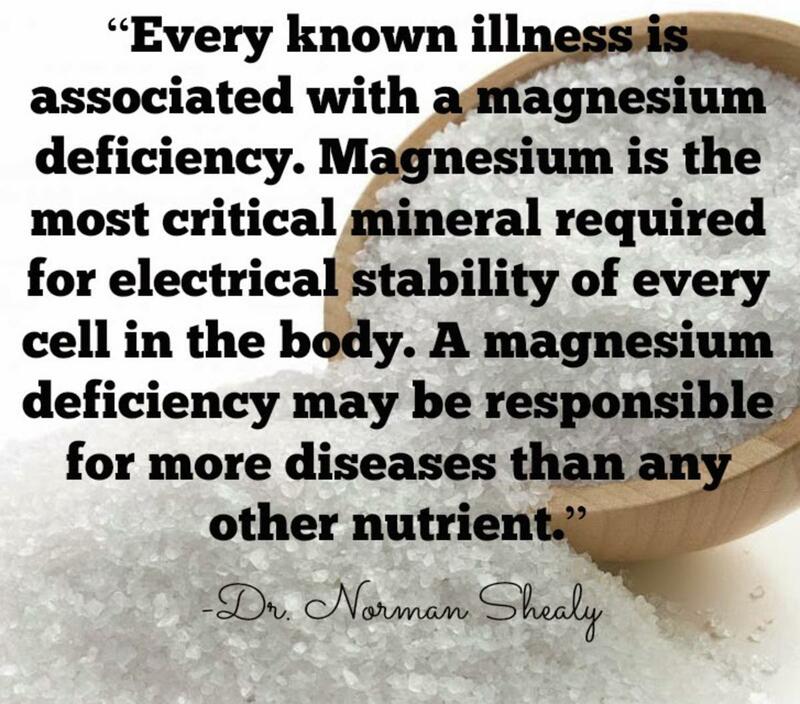 We believe that if magnesium issues are addressed, there is no need to accept stroke or heart disease as just 'getting old'. We encourage each of you to research this truth for yourself and live a long, full and well life.